The Kilmarnock boss was disappointed to see his former player head north on loan. Steve Clarke has questioned Greg Stewart's loan move from Birmingham City to Aberdeen, saying that the deal had "a slightly strange smell" that he thought was "bulls**t". However, the forward was recalled by his parent club in January while Birmingham manager Gary Monk said he had no intention of playing him and the move was "a club decision". Stewart, who has less than six months remaining on his contract with the English Championship side, has now move to Aberdeen on loan until the end of the season. Clarke was keen to stress that he had no problem with the player but that he had thoughts on the move. 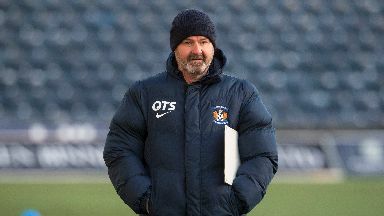 "I only want to talk about players who are committed to Kilmarnock and want to play for us," he said. "If I am honest, the whole deal had a slightly strange smell right from the very start, but that happens in football. "So we'll move on and I'll work with players who want to be here and, hopefully, they do just as well in the second half of the season." Asked what he meant by a strange smell, Clarke clarified: "Bull***t.
"I am not talking about the player here. It's not the player. It's the deal. But the deal is private and what happens when you speak with other clubs stays private. "You can work it out. Look at the deal."